The third, and final, post in my Paris series. The morning of my last day in Paris dawned bright and clear. 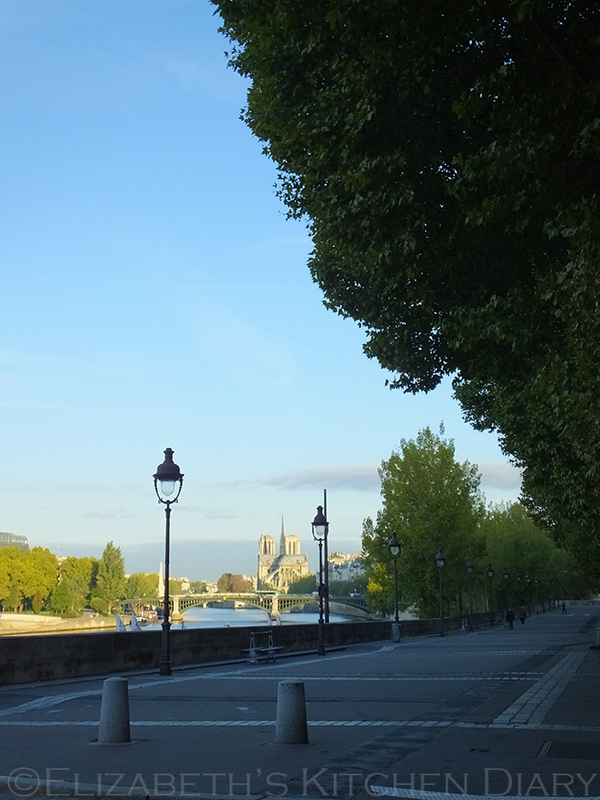 I walked what had become a very familiar route over the last four days along the Esplanade de Villes into the city centre, enjoying the tranquility and the golden glow of the early morning. 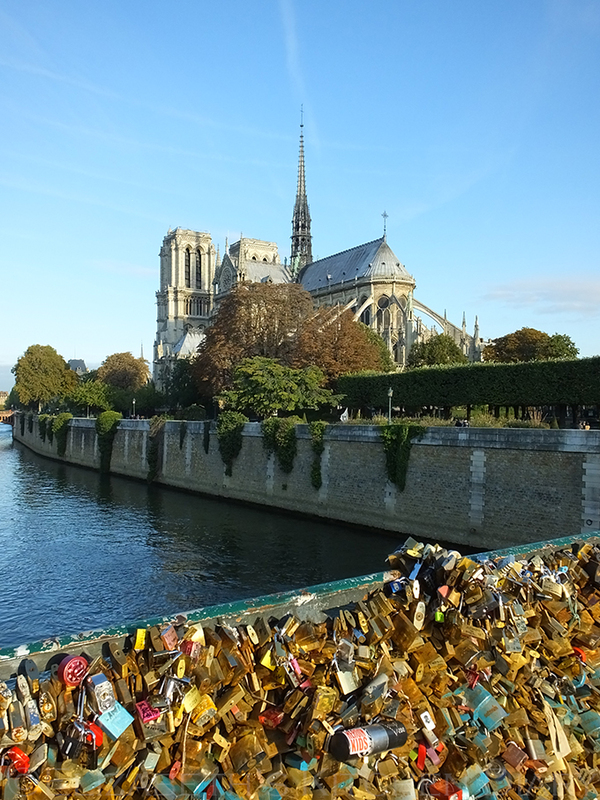 Walking across Pont Louis Phillipe to Île Saint-Louis, then heading across Pont Saint-Louis to the Île de la Cité and then over the bridge of locks to the south side of the city I was filled with anticipation, but there was that tinge of sadness of a grand adventure soon to end. The tourists hadn’t yet appeared in their droves that early in the morning so I took the opportunity to walk through Square Jean XXIII by the Notre Dame Cathedral, enjoying how empty it was except for the lone gentleman doing his morning exercises. There was only one other fellow on the bridge of locks too, and he asked me to take his photo with the cathedral in the background. I obliged, and continued on my journey. 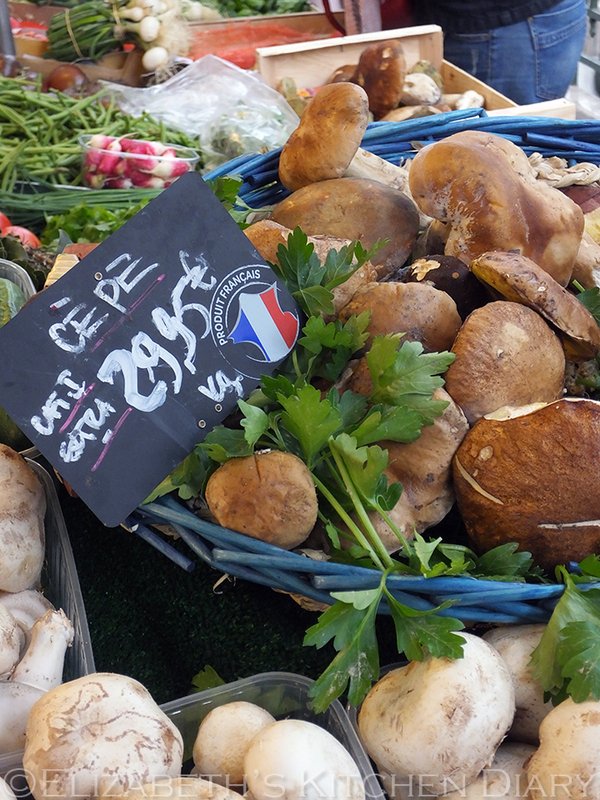 I’d booked myself into a French Market Cookery Class – Marché Maubert, from La Cuisine Paris. 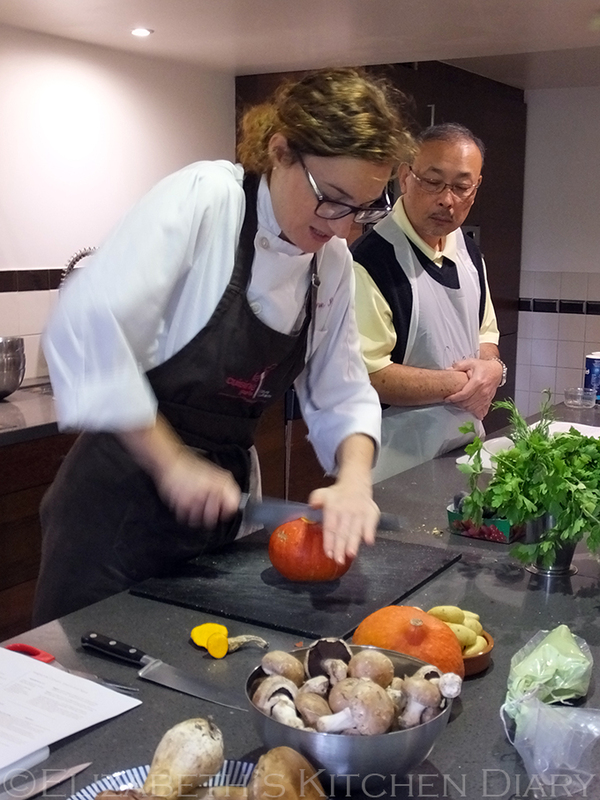 I’d never attended a cookery class before, let alone a French one, so I was really looking forward to it. 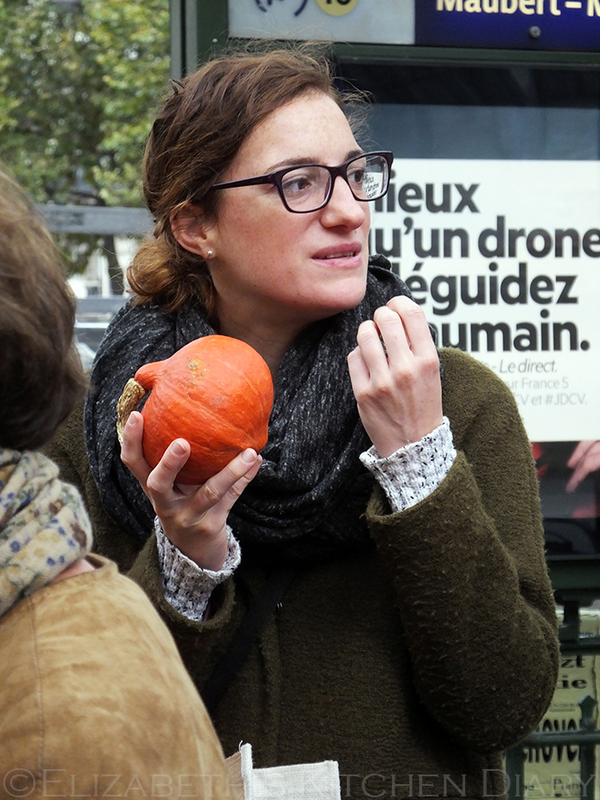 After a most enjoyable cup of coffee at the Cafe du Metro on the corner of Boulevard Saint Germain and Place Maubert n°18, I met up with my fellow classmates and our chef, Emilie. 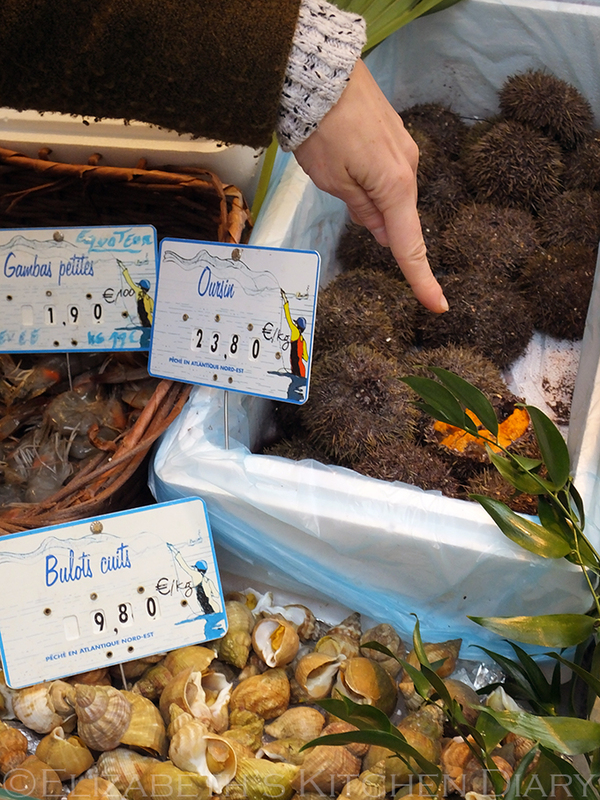 Just across the street was the Marché Maubert, the oldest, and quite possibly the first, according to Emilie, outdoor market in Paris. It dates back to the 5th century, she explained to us. 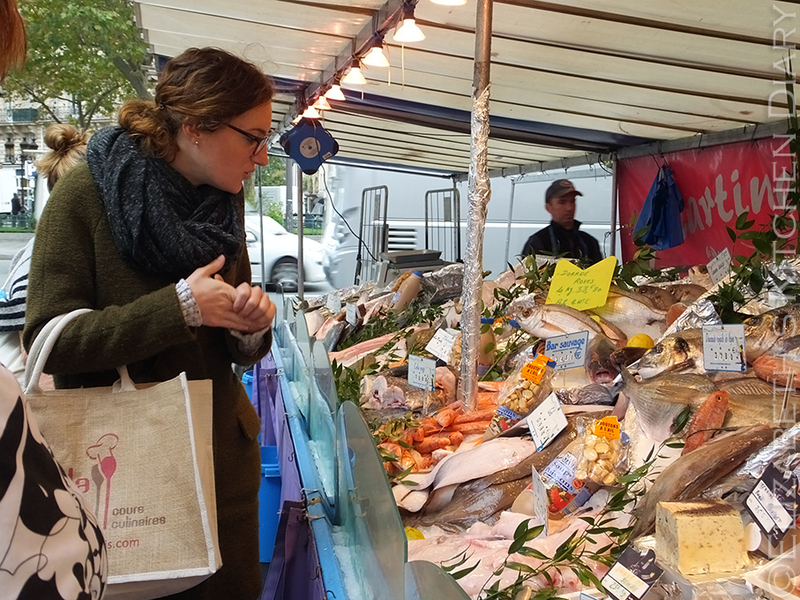 She handed out shopping bags and taught us how to do a French market properly. There are two types of duck – fat duck and skinny duck. Fat duck has a thick layer of fat on the top and is best for getting all nice and crispy. Most meat is sold unpackaged in France, except for meats which are very sensitive and would get damaged easily- like duck. It comes shrink wrapped to protect it. Pork tenderloin is the best bit of meat from the pig because it is taken from a part of the body the pig never uses. Have you ever seen a pig run? 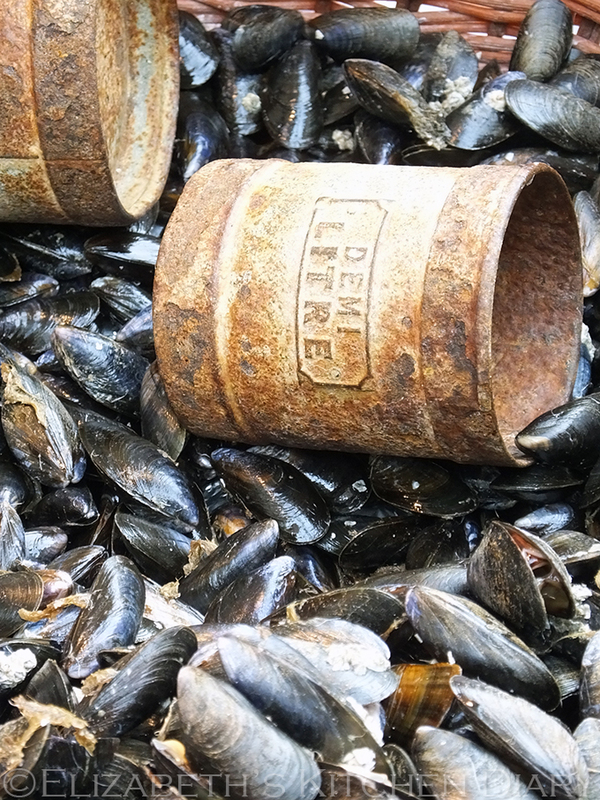 Fish should be purchased when they have been dead for less than 24 hours. During this time the fish will still be stiff and the gills will be red. By 3-4 days the fish is soft and the gills are dry. Black figs should be soft when you buy them. Mushrooms should be dry when you buy them. Brown button mushrooms have the least water in them and are good for sauteeing. 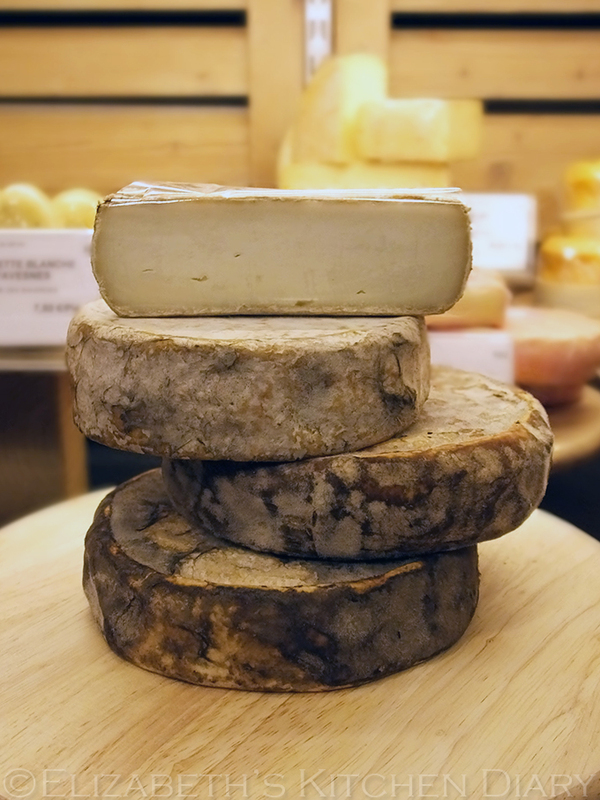 Goats’ cheese are small rounds of cheese often brushed with ash (it’s perfectly edible – it’s pure wood ash). 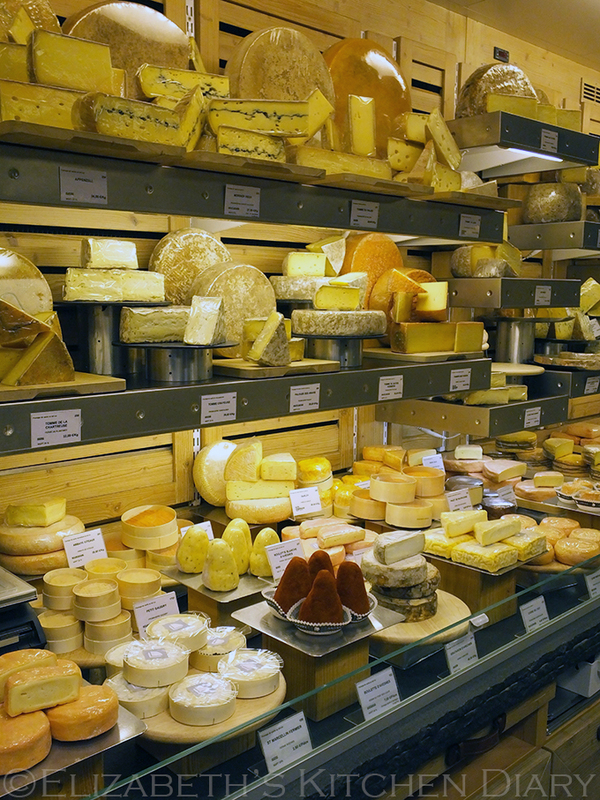 Hard cheeses are firm and mildly nutty. The older they get the saltier they taste. Anything with a soft rind has a strong taste. Anything with an orange rind is very powerful in taste. 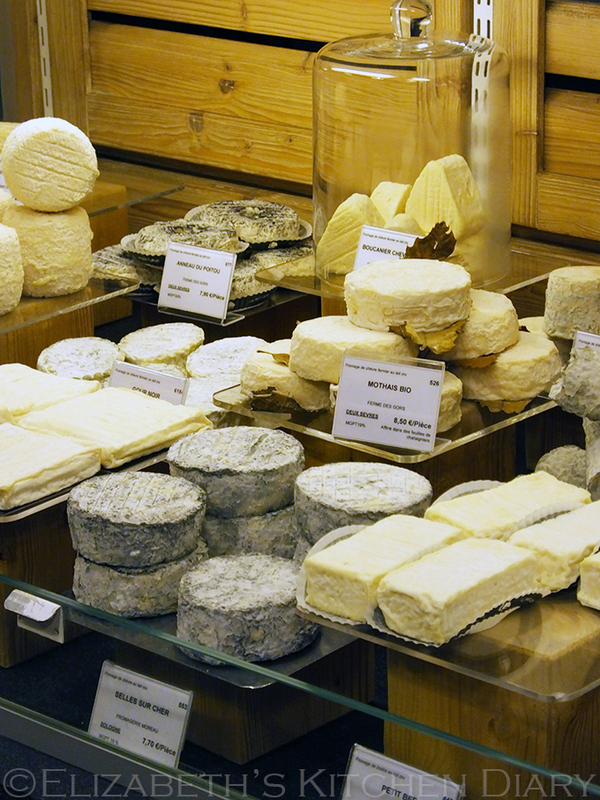 56 of the 500 varieties of cheese produced in France are AOC (appellation d’origine contrôlée) meaning they can only be produced in the villages from where they originated (ie: Brie de meaux). 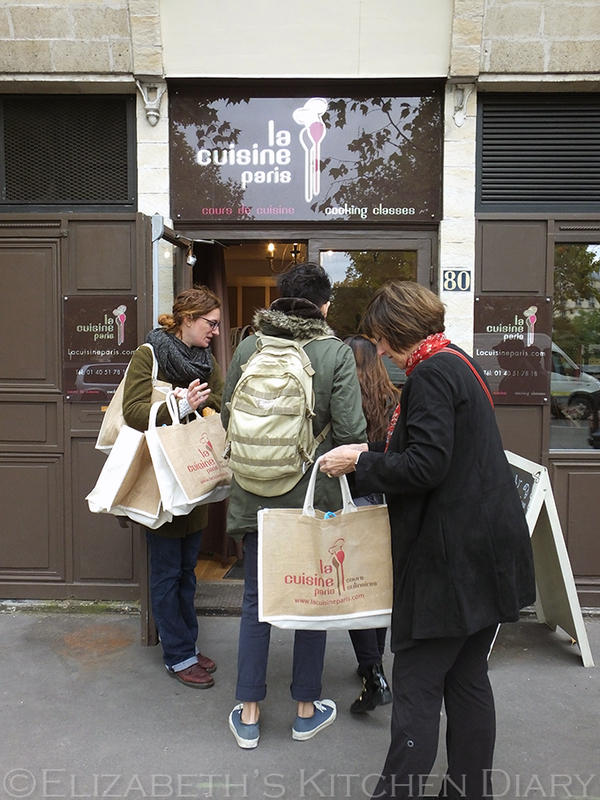 As a group we decided what we wanted to cook for our lunch, ingredients were purchased and we headed back to the La Cuisine Paris cookery school for our lesson. We students – a mixture of American and British and lovely couple from Hong Kong – had a short break over a cup of coffee to get to know each other before starting class, then we donned our aprons and set to work! 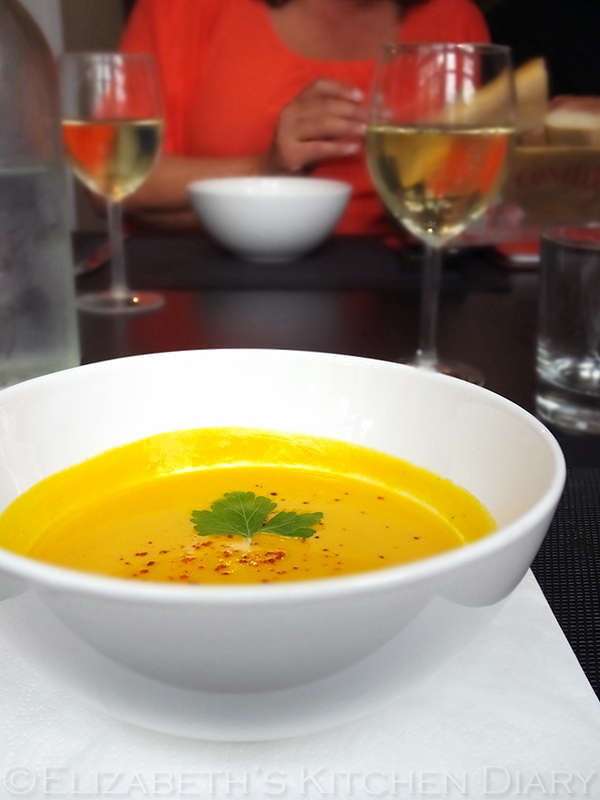 Velouté de Potimarron – a soup made from the famous French potimarron squash. This squash has an aromatic chestnut-like and is excellent for roasting. 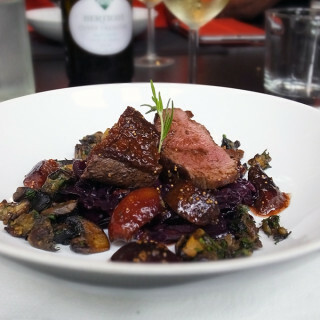 Magret de Canard, Sauce à la Figue – Duck breast with fig sauce. We’d purchased fat duck breasts at the market and we were going to sear them with a gorgeous fig, honey and balsamic vinegar sauce. 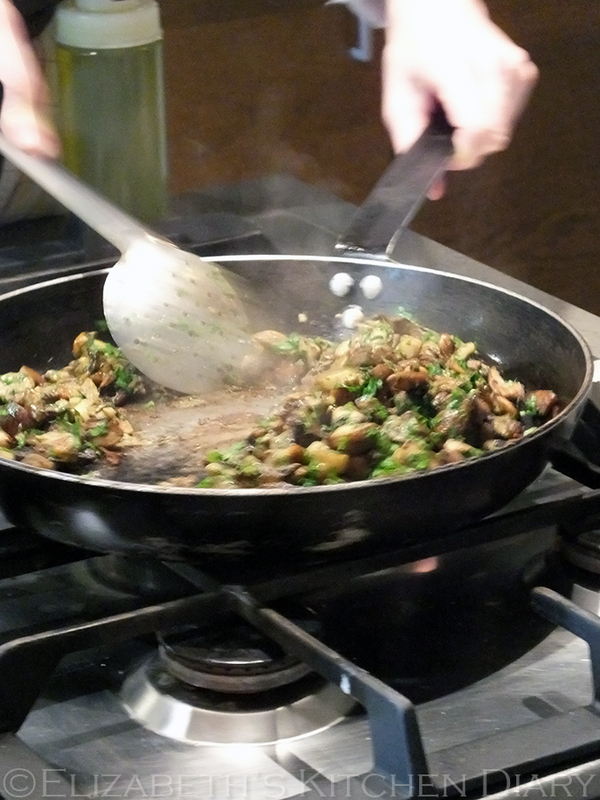 Champignons Sautées – sautéed Parisian mushrooms with garlic and parsley. Chou Rouge Braisé – braised red cabbage with raisins. Fontainebleu – a dessert with fresh fruit, pistachio chantilly and pistachio brittle. It was at about this point where I thought I’d died and gone to heaven. First, we prepared our desserts. We sliced fresh French strawberries into the base of a ramekin dish and prepared a beautiful green pistachio chantilly cream which was piped onto the top of the strawberries. 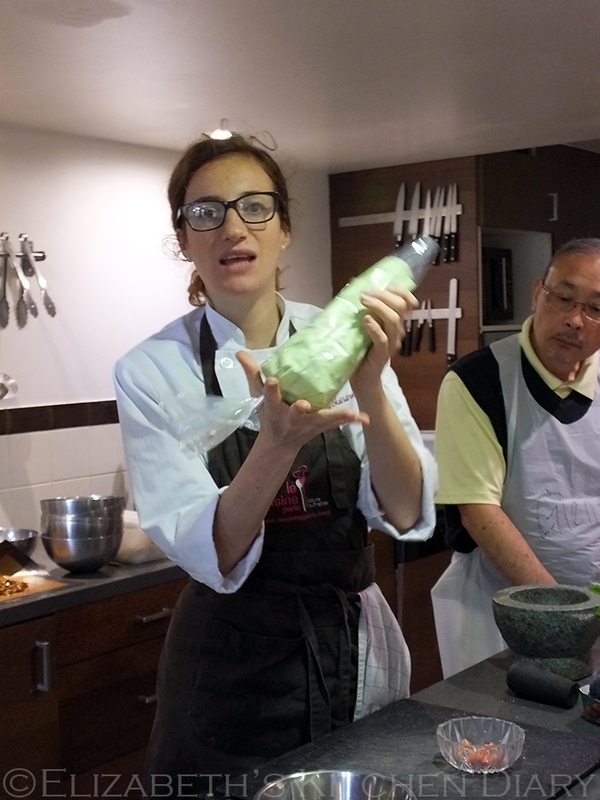 Then, we started on the pistachio brittle which was remarkably easy to make under the tuition of Emilie. This was crushed and sprinkled over our desserts before serving. 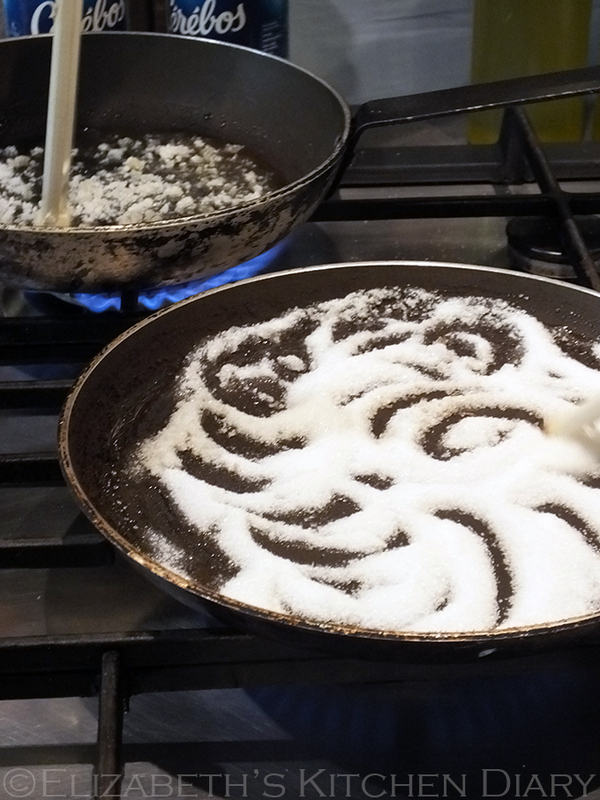 Heat the sugar in a dry non-stick pan over a medium-high heat. Stir the sugar slowly using the handle of a wooden spoon. If the sugar clumps, break it up with the wooden spoon. 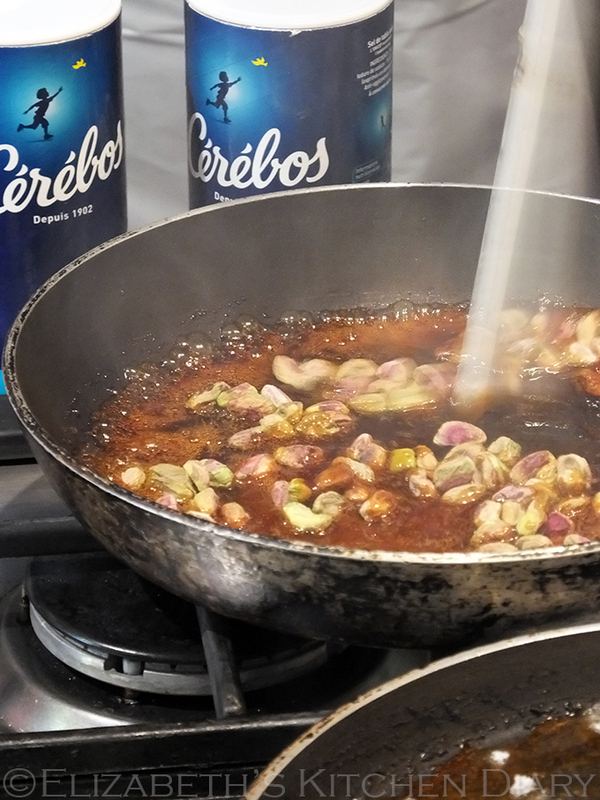 When the sugar melts and reaches a light brown caramel colour remove it from the heat, add all the pistachios at once, stir to coat and pour out onto a silicone mat to harden. Let the brittle cool down to room temperature before refrigerating it for at least 30 minutes. Break the brittle into small pieces when needed, alternatively, smash in a mortar and pestle and sprinkle over your dessert. 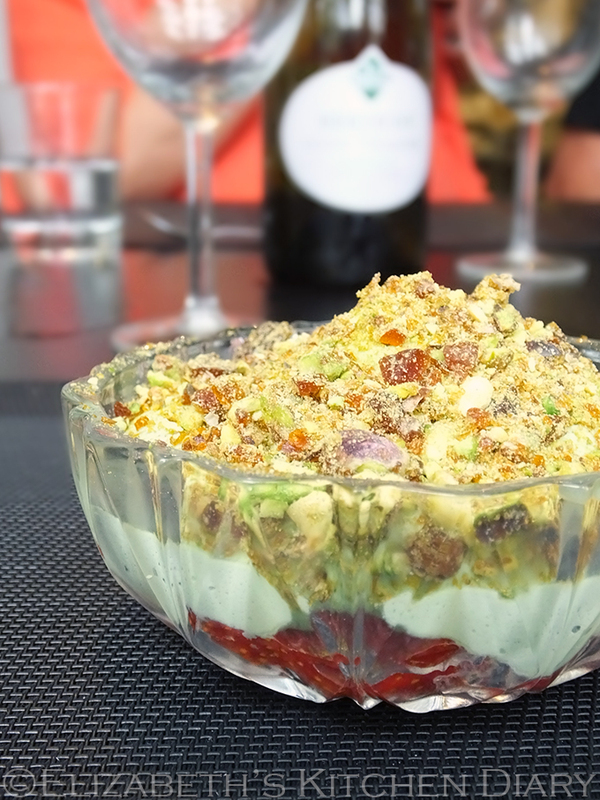 The pistachio chantilly was flavoured with pistachio paste – a mixture of ground pistachios, sugar and oil. This intriguing ingredient is something I’m going to have to try making at home. When whipping cream make sure the cream is cold. If you’ve just returned from the market, pop it in the freezer for a few minutes while you get everything else ready. To fill a plastic piping bag, fold the open end of the bag down over your hand and firmly grasp underneath. 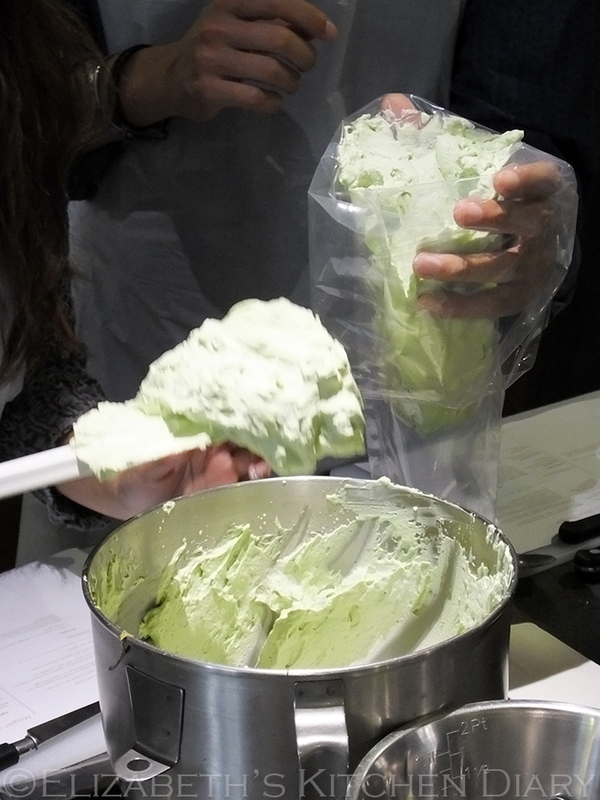 Using your spatula, spoon the cream into the bag, wiping the edge of the spatula along the inside of your hand. Tie the open end of the bag shut with a short length of cling film. Hold the base of the piping bag with one hand and the nozzle with the other. Squeeze the base end of the bag using the other hand to direct the nozzle. 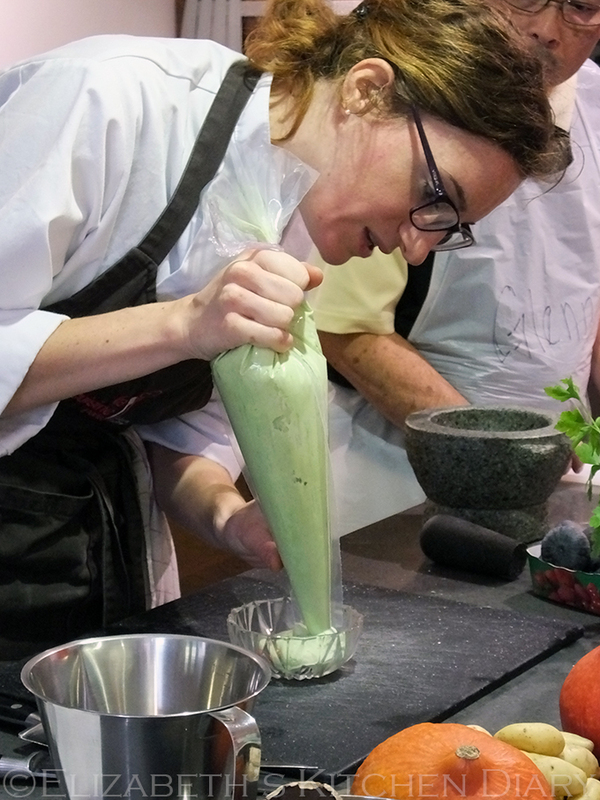 Pipe the cream from the centre of your dish outwards. When cooking mushrooms, wait until the fat is so hot that it starts smoking. If it’s not hot enough it won’t sear and sizzle when you put the mushrooms in and all the water contained in the mushrooms will come out. When cooking meat or vegetables with butter it is hot enough when the butter has split and starts to turn foamy. When the fat is hot enough add all the mushrooms at once, spread out into a single layer and leave it alone to cook for one minute. Flip the mushrooms every minute. Don’t stir them! 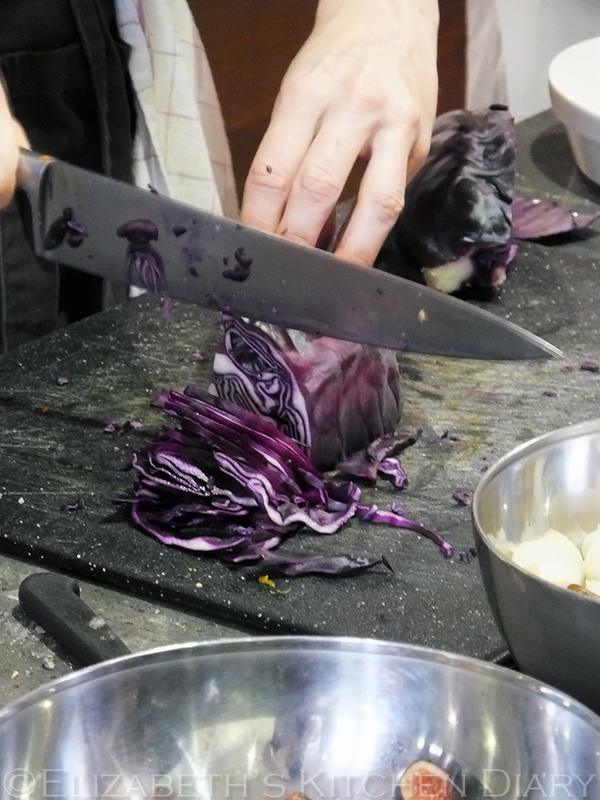 When cooking red cabbage remove the outer large leaf as it is always softer. To quickly remove the skin from garlic crush it with the side of a knife. Always cut out the green bits of a clove of garlic as they are hard to digest. When you are about to serve your meal take your cheese out of the fridge so it can come to the right temperature. 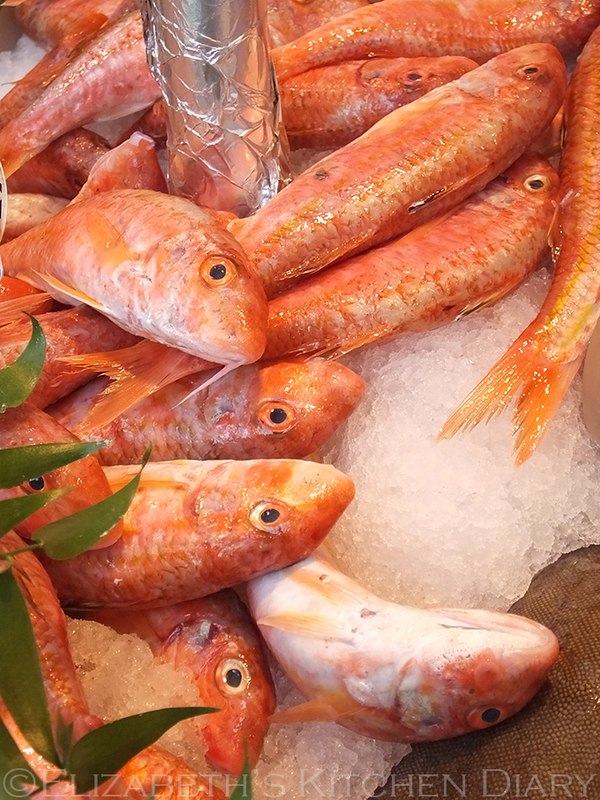 When using saffron, marinade it in a little glass of water first to get the full flavour. Use when the water turns orange. 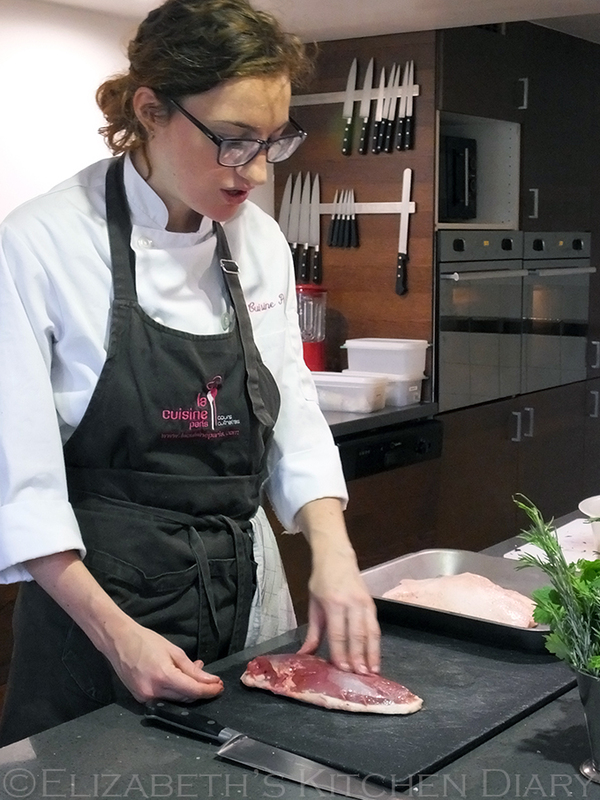 Make sure there is enough fat on the duck breast to protect the meat; run your fingers along the outside of the meat, pressing the fat down against the chopping board and then trim so that the fat is the same size as the meat. Trim the fat so that it is evenly 1/4 inch thick. Score the fat, cutting in a criss cross fashion with the tip of a sharp knife until just before it reaches the flesh. Salt is the enemy of blood! Liberally salt the fat side of the duck breast to help it crisp up, but keep it away from the flesh side. Sear the duck skin (fat) side down first. If your pan is hot enough you should hear it sizzling right away. If your pan turns smokey, reduce the heat. It’s better that the fat crisps up slowly. This is by no means an exhaustive list of all the cooking tips I received that day. These were all the ones I had written down and the ones that I can recall from memory. It was a fantastic session in great company and I was really impressed at how well Emilie taught us. She was patient, kind, informative and just firm enough to encourage us all to get the job done safely and in time. After we’d prepared all the dishes it was time to eat them! From left to right: velouté de potimarron, magret de canard and sauce à la figue with the sauteed mushrooms and red cabbage and our modified fontainebleu, made with fresh strawberries instead of a fromage blanc base. 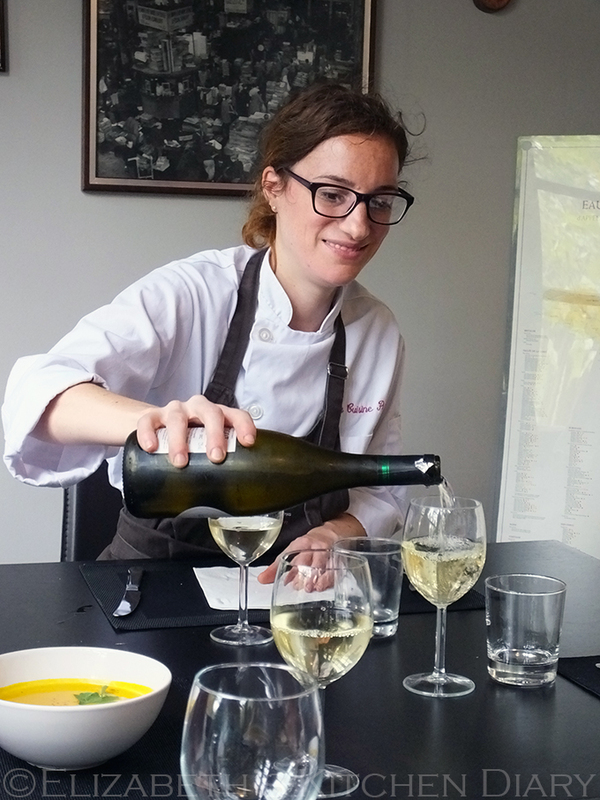 The whole experience was absolutely magical, and I would urge anyone interested in French cooking who is visiting Paris to sign up for one of the classes at La Cuisine Paris. 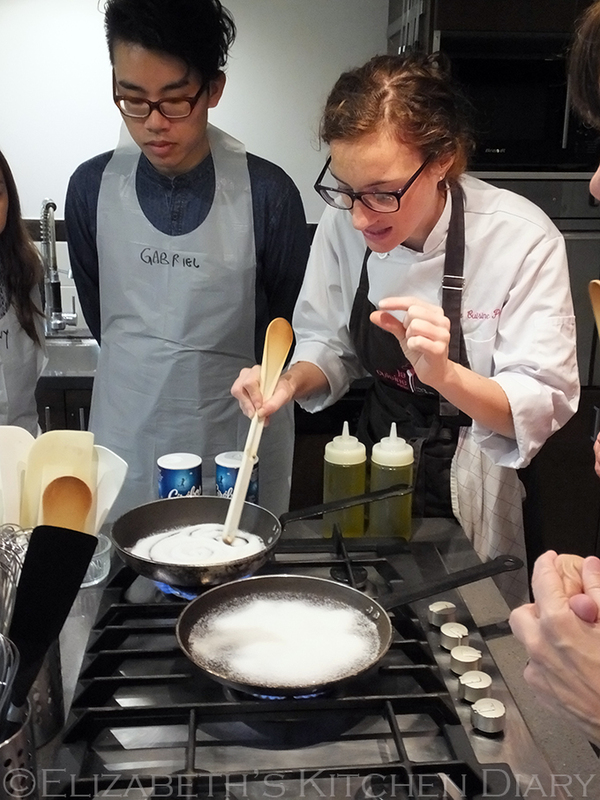 They do a wide range of classes from the market cookery class I went on, which includes a three course meal served with wine, to macaron making classes, croissant and breakfast pastry classes, puff pastry classes and foodie tours of Paris. My class cost €150 (approximately £90) and was well worth every penny. Emilie and her team have given me permission to reproduce one of the recipes we made that day. I hope you try it and enjoy it as much as I did! 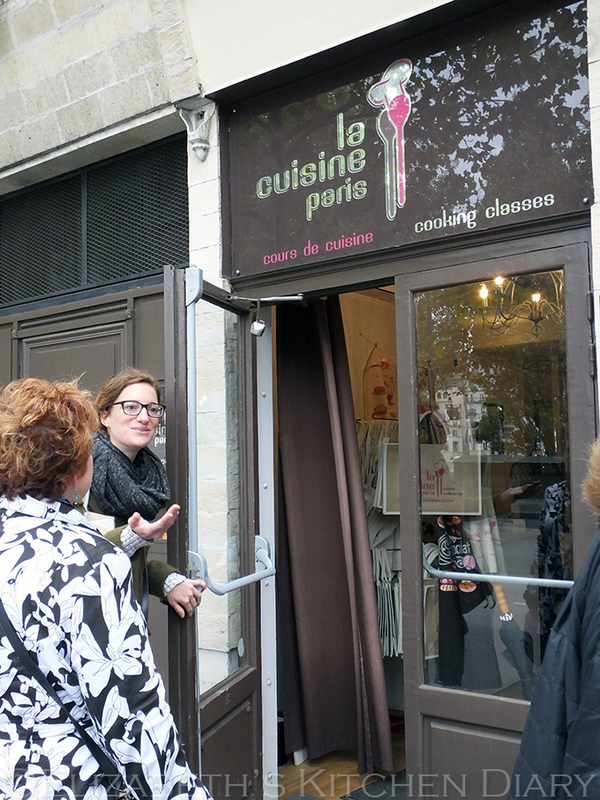 You can find La Cuisine Paris on Facebook and Twitter as well as on their website. 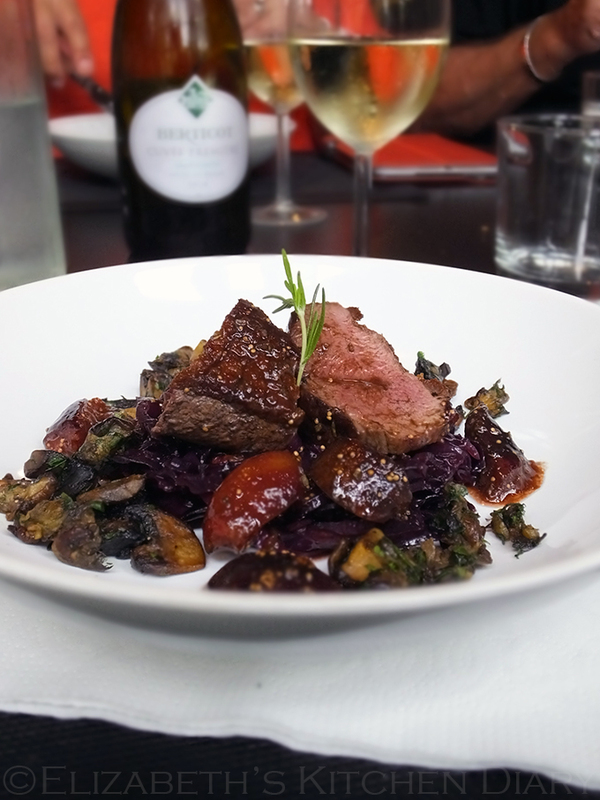 A delicious and succulent seared duck breast with a sweet fig and honey sauce. Magret: make deep incisions in the fat layer of the magret in a criss-cross fashion, taking care not to cut all the way through to the flesh. Season well with salt and pepper. 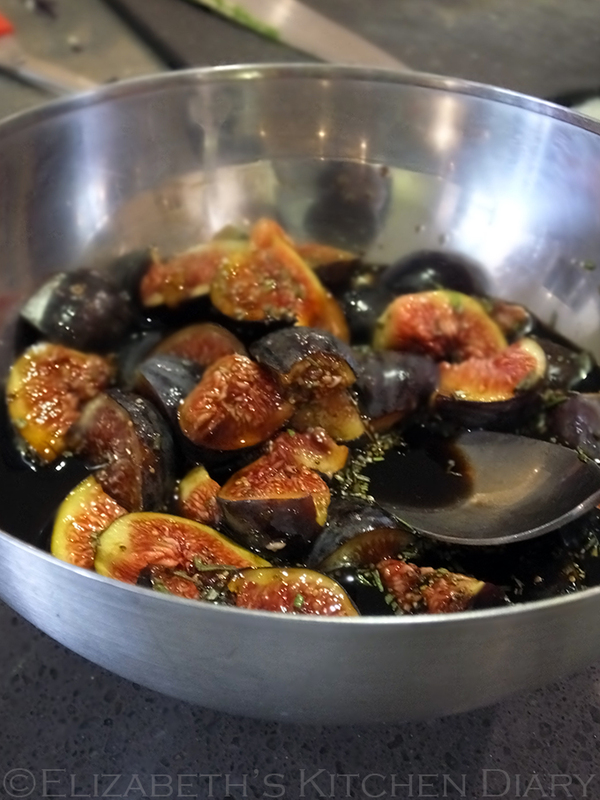 Sauce: Cut the figs into 2 or 4 pieces, depending on the size. Place in a dish with the chopped rosemary and honey. Set aside. In a heated frying pan, cook the magret, skin side (fat side) first. Cook for approximately 10 minutes until well coloured and slightly crispy. Drain off the excess fat. Make sure any extra salt is removed from the pan. Add the fig mixture and turn over the magret. Add the balsamic vinegar and cook for 5 minutes for a 'rose' pink colour, or a few more minutes for a medium cooked magret. 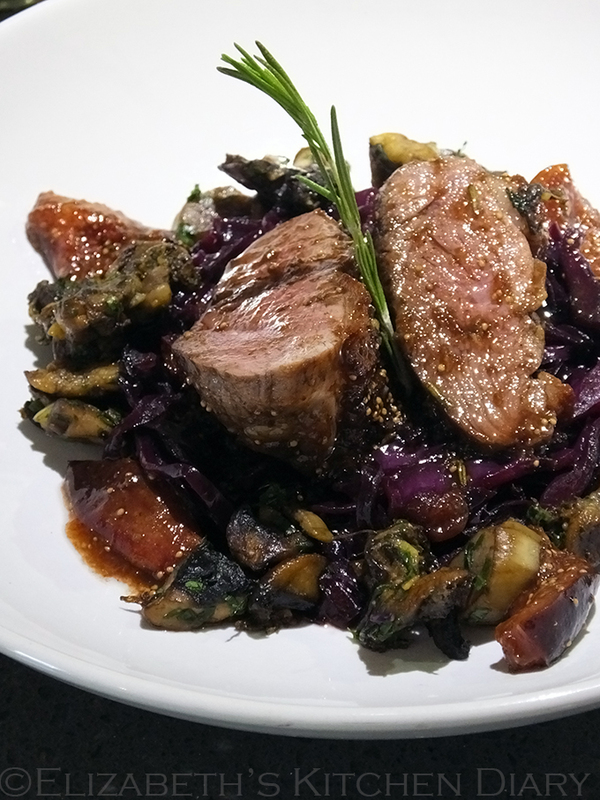 Serve, thickly sliced, on a bed of braised red cabbage with sauteed mushrooms on the side. Don't forget the fresh bread and white wine too! 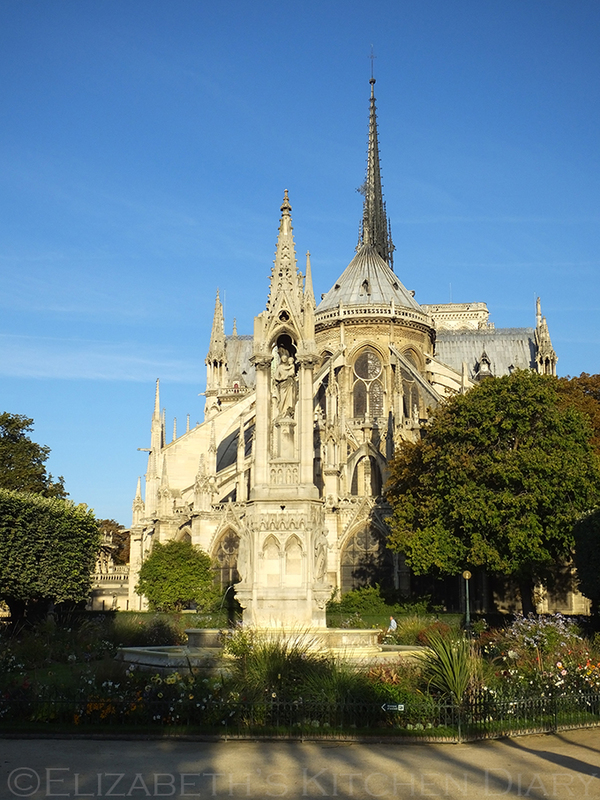 Coffee in Paris – crossing off #2 on my 40 Things I’d like to do Before I Turn 40 list. Elizabeth’s Kitchen Diary paid for this culinary experience herself. All thoughts and opinions expressed are her own. This is not a sponsored post. 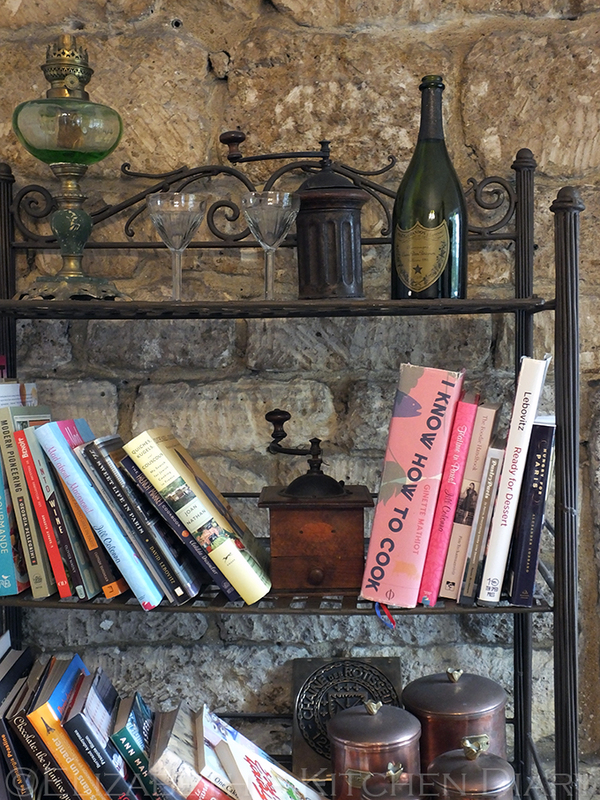 Great post – almost felt like I was there – wish I was. The duck dish looks fabulous. 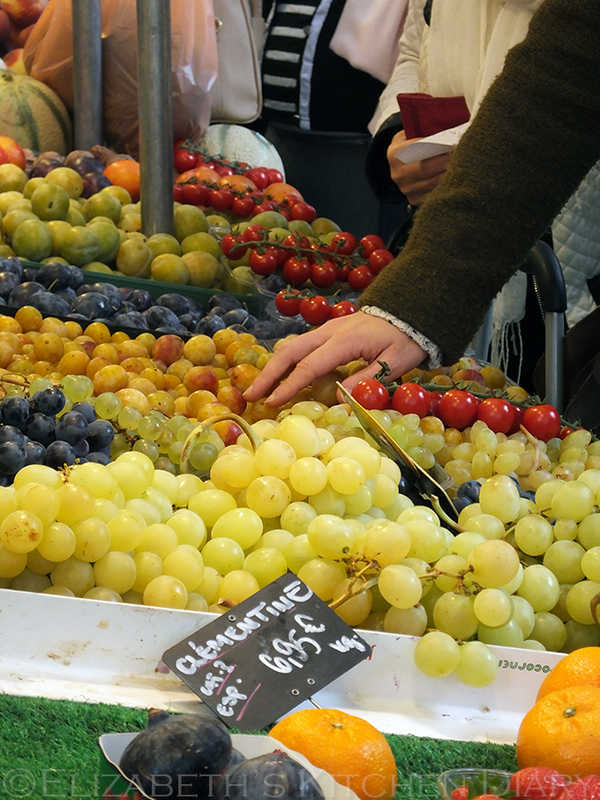 I haven’t been to Paris for years but I do love a French market and look forward to them every summer on our holidays. This year we found the best vacuum packed confit de canard I have ever tasted, fresh from the butcher himself. They know how to sell produce at their very best, I think it looks like a wonderful trip. I’m so glad you had such a wonderful time in Paris and it looks as though the weather was kind to you too. 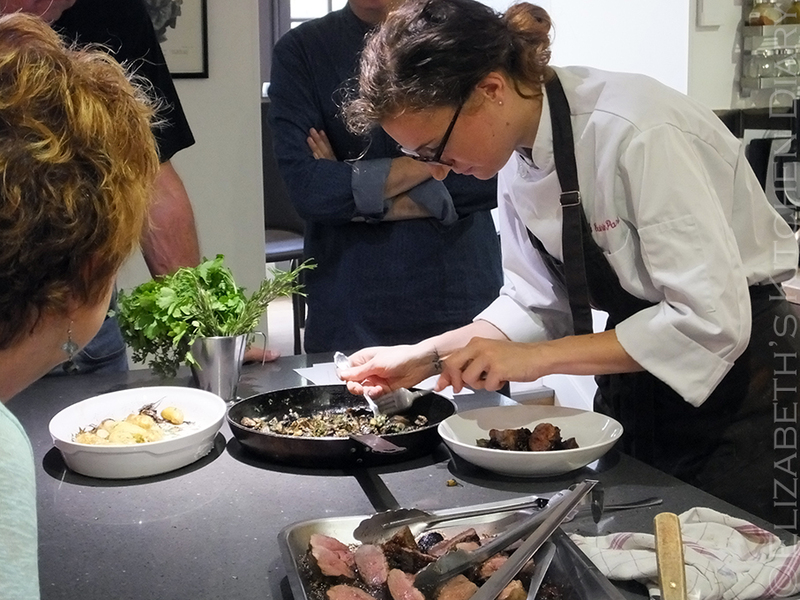 Love the idea of going to a French cookery school and if I wasn’t vegetarian, I would wolf that duck and and fig sauce down. Looks like you had an absolutely fabulous time. I am more than just a little bit jealous. The dish sounds fantastic too. I am a huge fig fan but have not tried it with duck before. My mouth is watering. Food looks so yummy. Great tips here. Love Duck, the pics look amazing and I love the look of the market.